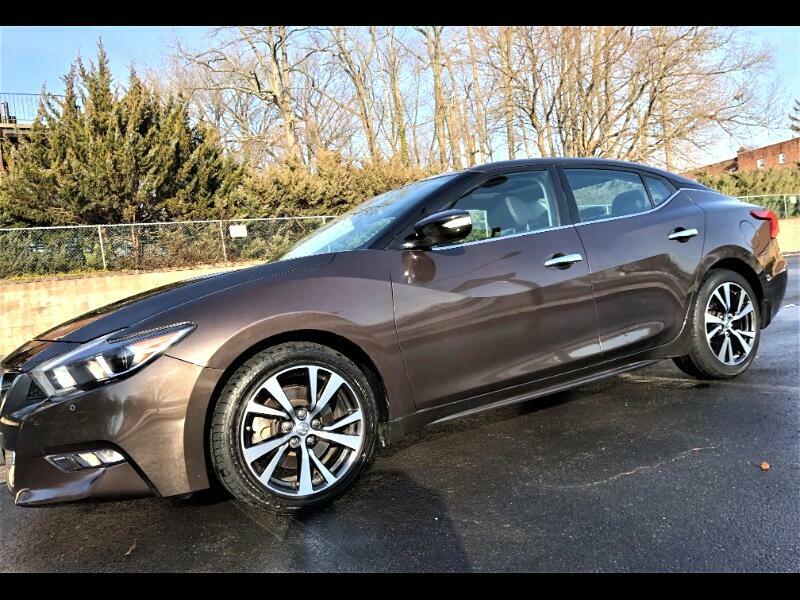 2016 Nissan Maxima SL with top of the line technological and luxurious features. 300 Horsepower 3.5L V6 while still providing great gas mileage with ratings of 22 City/30 Highway MPG. FULL UP TO DATE SERVICE WITH BRAND NEW BRAKES AND ROTORS JUST INSTALLED. 1 Owner, never been involved in any accidents, previously owned as Personal Lease Vehicle (not a rental that's been driven and abused by countless people). Full Glass Panoramic Sunroof/Moon-roof, Adaptive Cruise Control, Leather Seats, Heated Seats, Heated Steering Wheel, Remote Key-less Start, Rear Spoiler, Navigation System, , Blind Spot Monitor, Cross Traffic Alert, Backup Camera, HD Radio, BOSE Premium Sound System, Bluetooth, Streaming Bluetooth Audio, USB Port, Aux Port, SD Card Reader, Heated Side-View Mirrors, Adaptive Headlights, Led Daytime Running Lights, LED Taillight Cluster, Fog Lights and more. Nissan’s remainder of Drivetrain/Powertrain Warranty until of November of 2020 or 60k miles. Nissan's remainder of Emissions Warranty until of November of 2021 or 80k miles. Nissan’s remainder of Drivetrain/Powertrain Warranty until of November of 2020 or 60k miles. Nissan's remainder of Emissions Warranty until of November of 2021 or 80k miles. *Eligible for purchase of comprehensive bumper to bumper coverage with duration up to year 2026 or until odometer reads 125k miles.